I have wanted a pair of dungarees for a good year or so now and will admit I get a little outfit envy every time they come up on my insta feed. 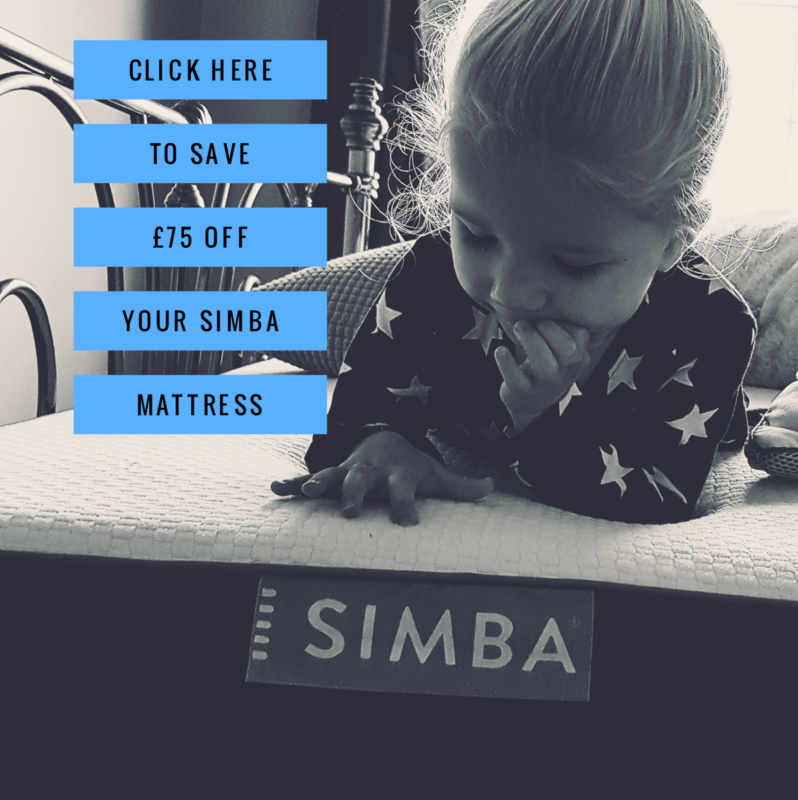 They look so versatile and comfy, and I have been pretty sure that they would change my life for the better as an option for chilled days and school runs! I have spent so much time looking in every sale, but have never been able to quite find a pair that fit well or don’t make me look weird! I was delighted this Christmas to open this lush pair from ASOS that were given to me as a gift from my mother in law and chosen by my trendy sister in laws (they retail at £42)! 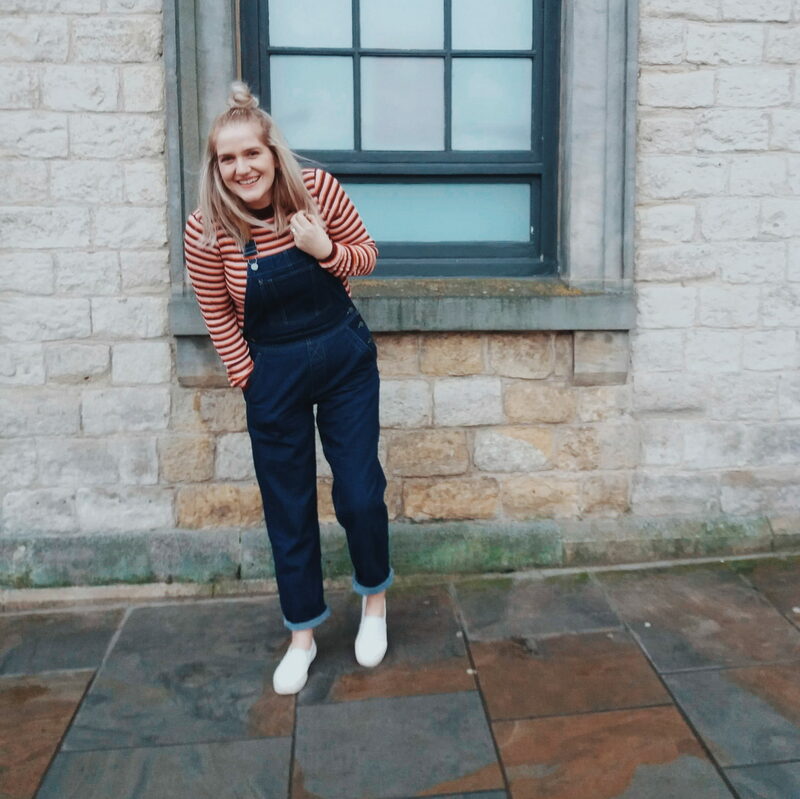 It suddenly became clear that my dungaree love would never had been found in the sale – they were right here in front of me from ASOS! At first I wasn’t sure of the wider leg – I am used to wearing skinny fit jeans and the wider leg initially felt so foreign to me! But, after wearing them all day last Monday, and well into new year, I am well and truly sold! They were comfy, practical and looked fab (even if I do say so myself). 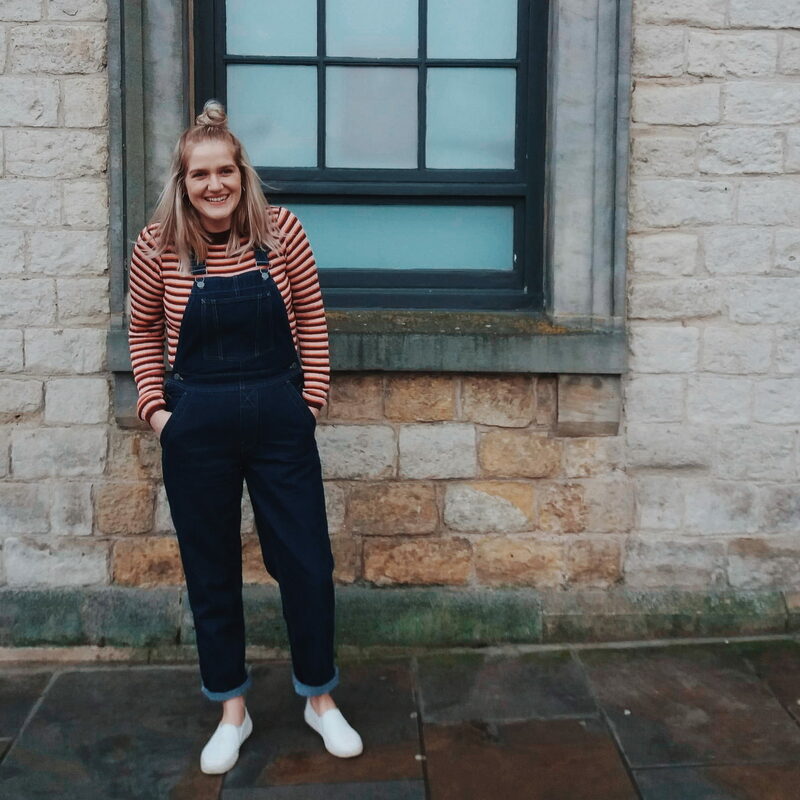 Dungarees are such a practical and comfy outfit choice for mum life. They can be worn with so many things and look cool effortlessly. I initially paired them with my new high neck striped knit top and white pumps – which was a match made in heaven. The top was a bargain in Primark for £3 (down from £6) and it is another very me and versatile piece for my wardrobe! 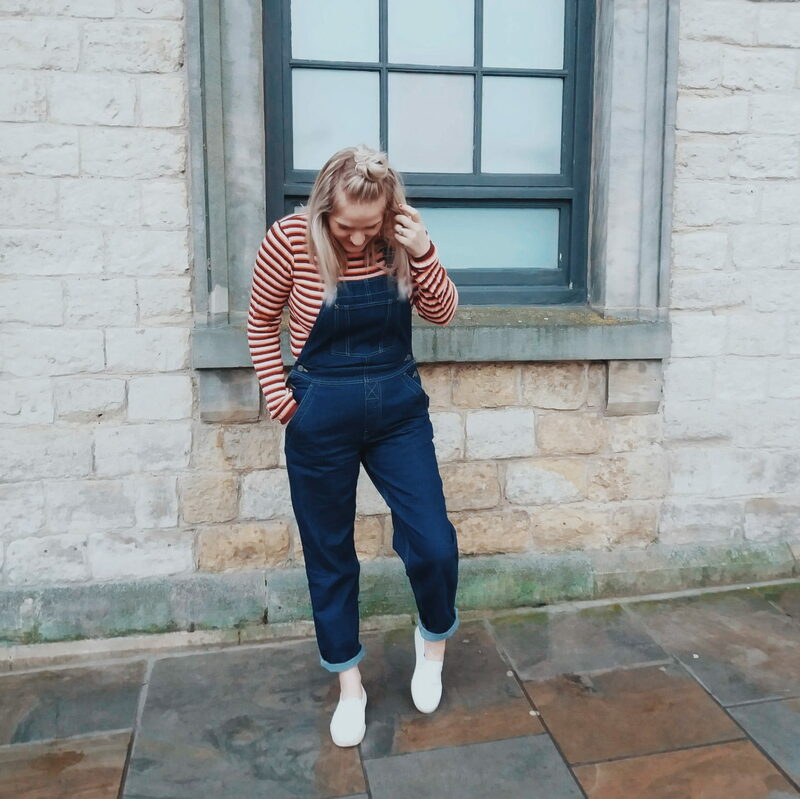 I love these dungarees so so much and look forward to wearing them with warm tops, shirts and ankle boots or trainers in the coming weeks and T-shirts and pumps/Sandals in the warmer months. I am converted to dungarees and can see that sometimes, things are just worth the investment!